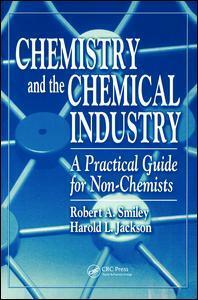 Chemistry and the chemical industry, a practical guide for non-chemists paperback Smiley Robert A.
Auteur : Smiley Robert A. This book reviews the important aspects of industrial chemistry in a way that can be understood even by those who have not taken any formal chemistry courses. It is suitable for chemical and related company employees, consultants, and students who need to become familiar with the concepts and terminology of organic and inorganic chemistry, polymer chemistry, high volume chemicals, and environmental concerns about chemical production.